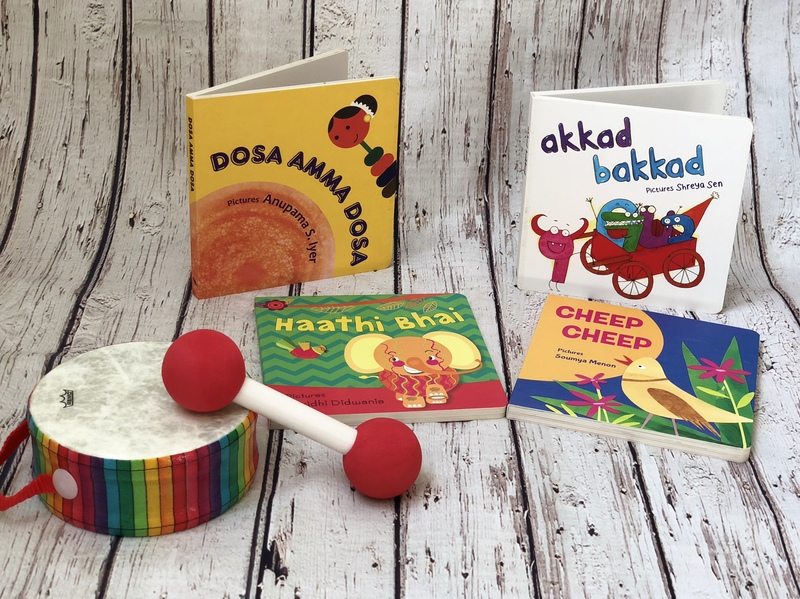 Board Book Subscription box, perfect for Babies and Toddlers! 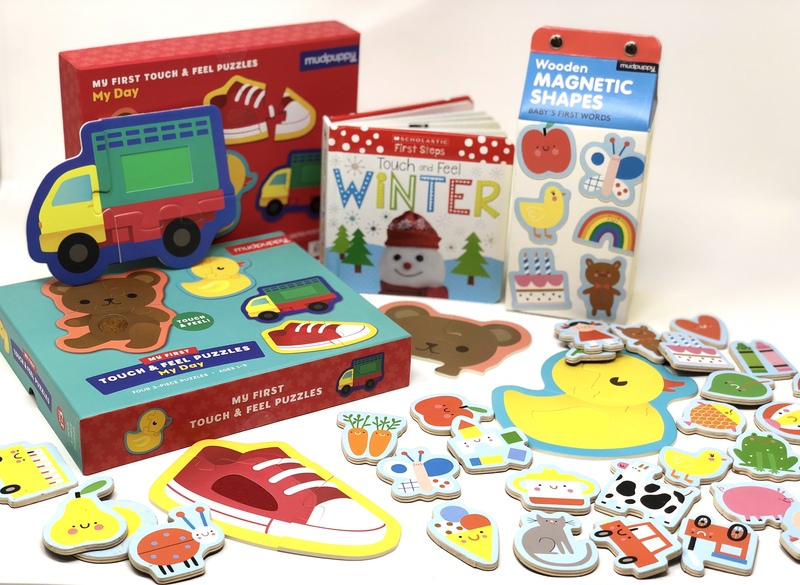 Monthly Box with curated, hand-picked board books! 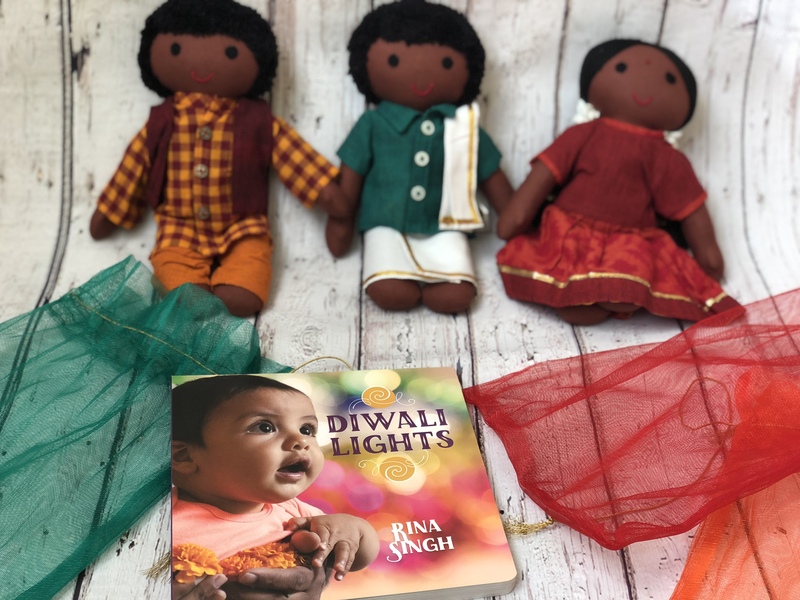 Diverse, Multicultural board books for babies and toddlers with a focus on India and South Asia! American Academy of Pediatricians recommend reading to your child from birth. Stacking blocks are part of every child’s toy chest. The hand-made blocks in this box have no sharp edges and help with hand-eye coordination, spatial awareness, motor skills, enhances logical thinking and teaches kid’s cause and effect. 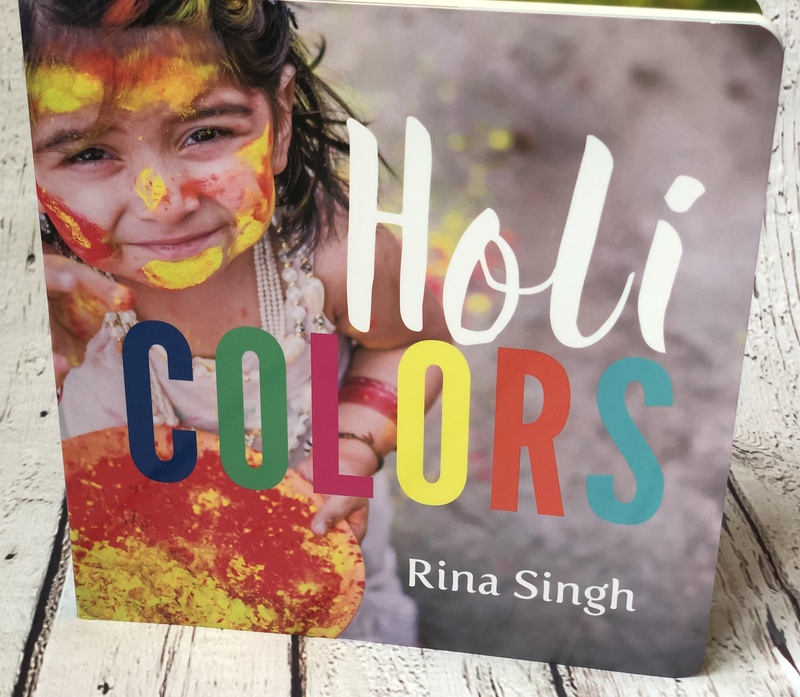 A sweet bedtime book as we bid goodnight to animal friends and all that a warm spring evening brings, with beautiful illustrations in calming colors. A modern take on the classic stacking blocks made with mango wood. 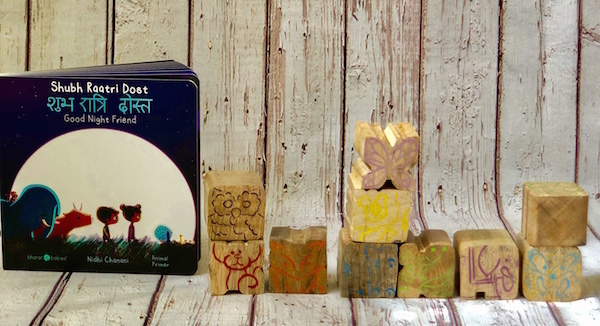 These blocks conform to safety standards and are fair-trade, sustainable and hand-made by artisanal communities in North Central India. 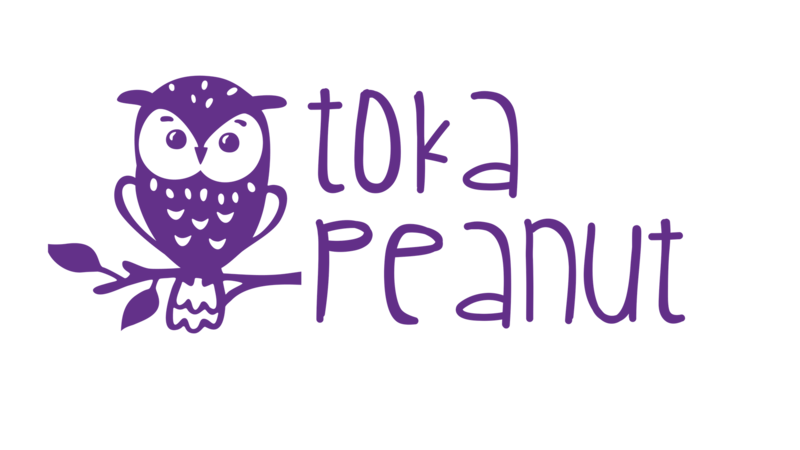 Subscriptions are now open for the February Box! 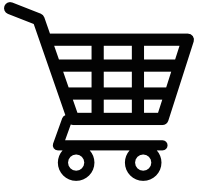 5% Off, Save $7.0 ! Develop Fine Motor Skills and Language skills with this box. 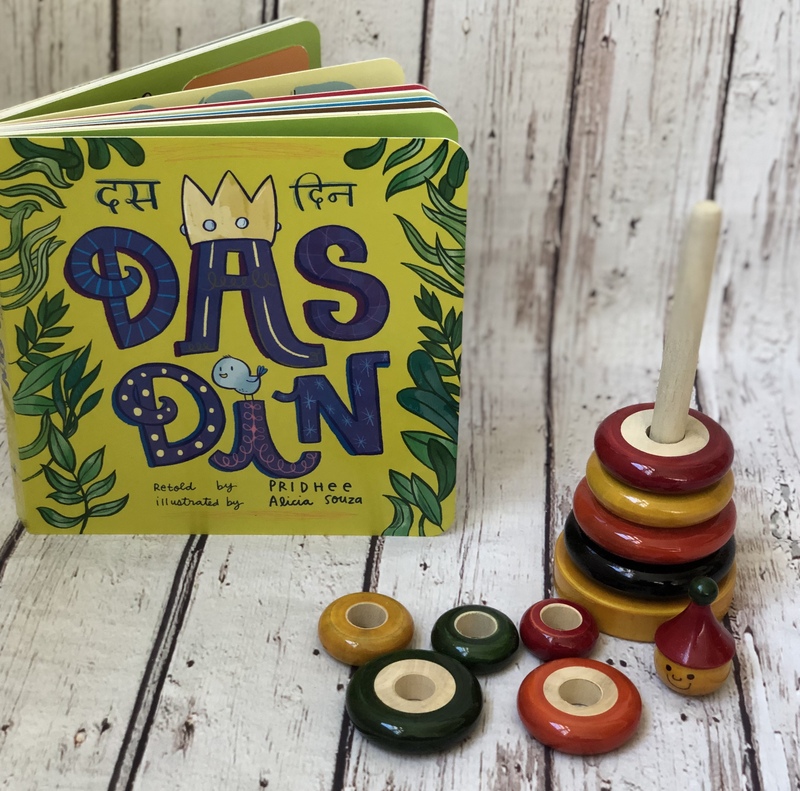 The book has flaps and tabs to open and pull, while the classic toy made by a traditional Channapatna artisan with natural dyes is ideal to develop not only motor skills, but visual and spatial perception along with language skills when talking about numbers,colors and indulging in creative play. Colors and Shapes together are the building blocks of cognitive development. Children observe the world around them and organize things based on colors and shapes. Knowing or talking about colors helps children make distinctions among the things they see. The finger paints in this month's box make colors a tactile, sensory experience! Numeracy Skills is the theme this month! We use math everyday when we talk. 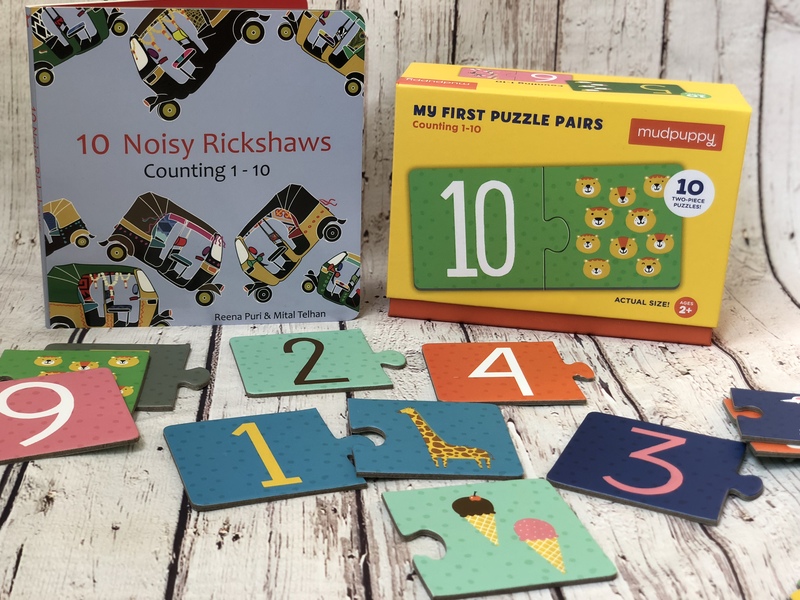 This month's book and playkit together help build on the concept of a number, quantity, order, ways of representing numbers, one-to-one correspondence (that one object corresponds to one number), and counting, helping children be successful with math as they get older. Play Kit: Durable, Colorful drum with a easy to hold handle and mallet.